Gregans Castle Hotel, Co Clare. 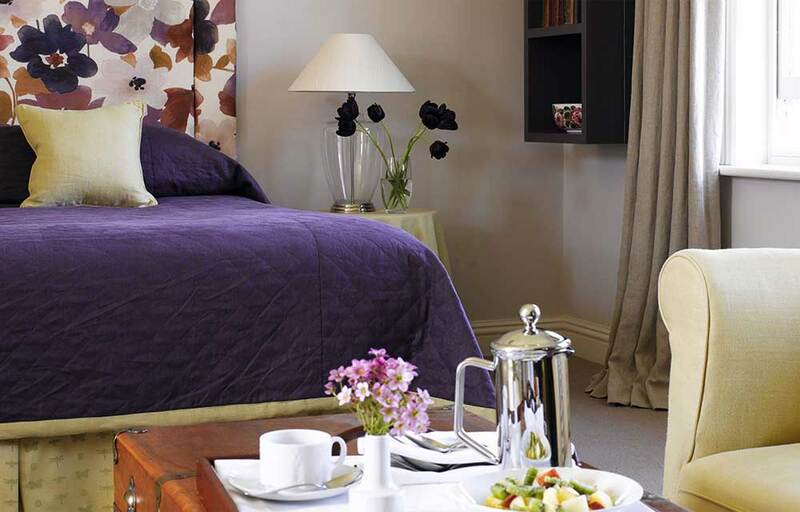 Gregans Castle Hotel was originally an 18th century manor home, which has been lovingly extended and furnished with exquisite style and taste by the present owners Simon Haden and his wife, Frederieke McMurray. 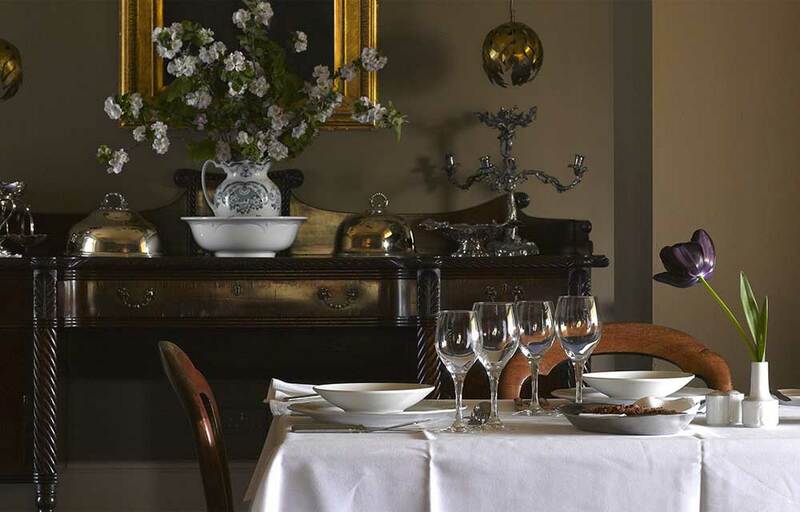 Gregans is a very evocative Country House with 21 bedrooms and an outstanding Dining Room. The location is in County Clare, along the wild Atlantic Way; Co. Clare is also home to those who like everything about Irish culture. Driving down the N67 from Galway towards Ballyvaughan the scenery is almost beyond beautiful. The famous Burren, with its limestone pavements looms large and as one gets closer to this incredible destination there can be no doubt about its harmony with its environs. The Government has seen fit to preserve this very unique landscape and it is has National Park status – halleluiah. The Burren is a ‘definite must’ for anybody who loves nature. As Gregans Castle comes into view, from the height of the nearby Corkscrew road, you can see wisps of smoke curling into the air from the welcoming fire in the front hall. Even though it is the first day of a proper Irish spring/summer season with 16ᵒC it is still wonderful to see a welcoming fire. If this is your first time driving along the twisty roads of The Burren, do take particular care as they really are ‘hairpin’ bends, a perfect location for a James Bond car chase scene. I was given a royal welcome by Ken Bergin, the Hotel Manager, and Teresa, who has worked at Gregans for 38 years. Teresa remembers well her first day working for Simon’s mother and father (Peter and Moira) who owned the hotel until about 10 years ago when Simon took over. 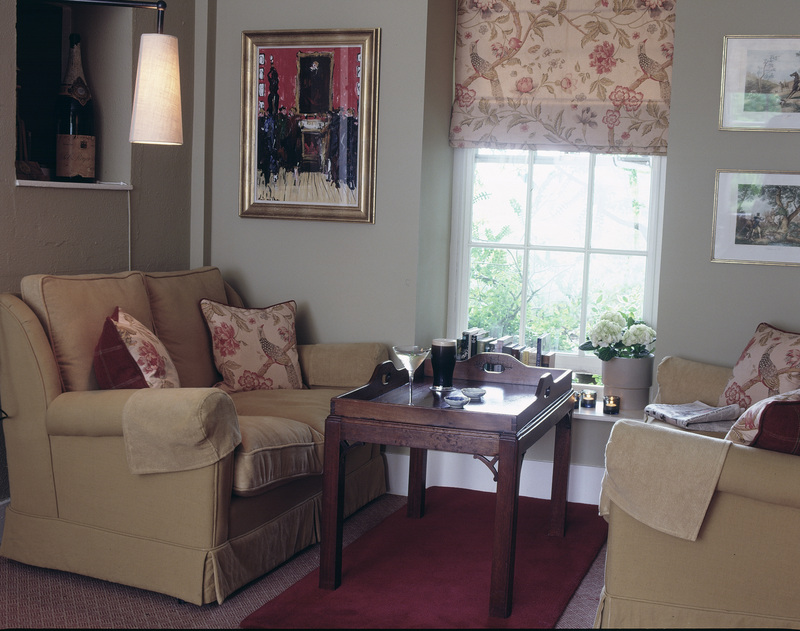 The continuity of the next generations in situ in a Country House Hotel is what makes Irish hospitality our national speciality. 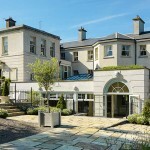 The Burren Captured: On this visit I was given a room at the front of the house, ‘Slieve Elva’, named after one of the nearby mountains, which has an outstanding view right across Galway bay. The bedroom was charming with a large king size bed facing the view. The bathroom was also a very good size with large fluffy towels and very good toiletries. There are no televisions in the bedrooms in Gregans to disturb the ambiance. I have mixed feelings about this exclusion but perhaps they are right; and how could one choose to slump in front of a telly when you have the most amazing scenery a few feet away. There is a drawing room set aside with television for those who cannot do without a screen. There is excellent WIFI coverage so there is no question of ignoring technology but rather the signature mark of Gregans is to opt not to have tvs in the room. So what is it that makes Gregans Castle such a special place? Is it majestic Burren; the nearby wild Atlantic coastline; the Country House décor; the relaxed hospitality of the hosts; the absolutely stunning cuisine; the wellie boots inside the porch for guests to use on more inclement days; the gardens humming with the sounds of song birds? I believe that it is a concoction of all of those things – the perfect mix and match. Cuisine: Dinner is a special occasion and there is a heady excitement about dining in Gregans and it is worth boasting about. The Chef, David Hurley, is very experimental so you are guaranteed an exciting meal. His Foi Gras and Veal Tongue on the evening I was there was sublime. He certainly gives the diner’s palettes something to think about as with the Curried Cod for main course. Dessert was Blackcurrant Souffle served with buttermilk – a stunning combination. So often Chefs forget that the Petits Fours are the last thing the diner eats and don’t give it the same attention as other courses. Not so in Gregans where the selection was simply divine, especially the Violet Macaroon. 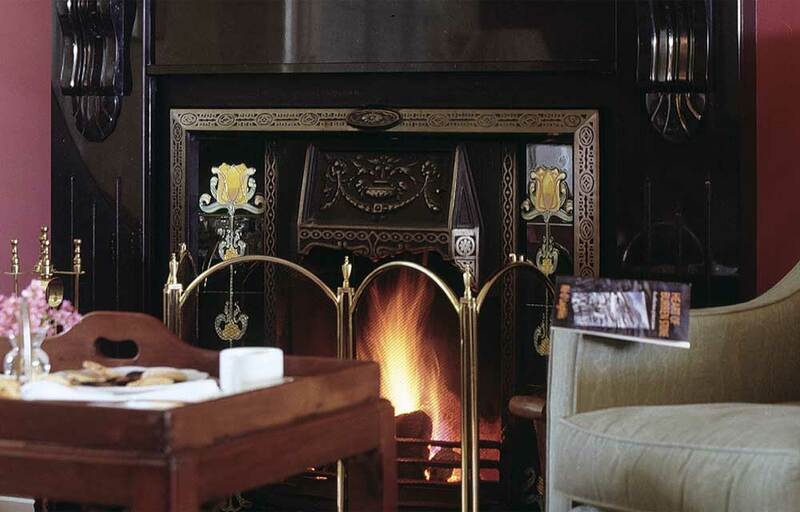 There are several very inviting public areas to sit and relax; the drawing room with an amazing sheep in the bay window (go see for yourself); the hall; the small sitting room further down the corridor and last but by no means least there is the Corkscrew Bar, again with a real turf fire. This is a great place for a pre or post dinner drink and very hard to leave. Its clever design means that it leans out into their well laid out and maintained garden, full of interesting trees, shrubs and a pond choc full of lilies. One room that rarely gets a mention mainly is the Ladies Powder Room. On entering it I was quite blown away by the wallpaper (chosen by Frederieke) which is a very strong green and white pattern of cows and apparently a real talking point with guests. Because Clare is located between Kerry and Galway it sometimes gets overlooked. It is a county that has so much to offer visitors such as the Cliffs of Moher: Aran Islands: Ailwee Cave: The Burren Smokehouse. Doonbeg and Lahinch golf courses are two of the country’s finest links courses and there is always surfing for the hardier folks. Because of its landscape it attracts visitors that are in touch with their inner spirit and are looking for something uniquely special. The attention to detail and the commitment by Simon, Frederieke and their super team led by Ken Bergin is something the Irish hospitality industry should be proud of. 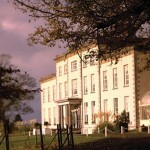 Gregans Castle Country House Hotel is where guests will enjoy something out of the ordinary and leave with a sense of having another memory tucked away for the future. Everything in Gregans Castle happens with effortless hospitality, the signature of excellent hosts. Gregans Castle Hotel, The Burren, Ballyvaughan, Co. Clare.